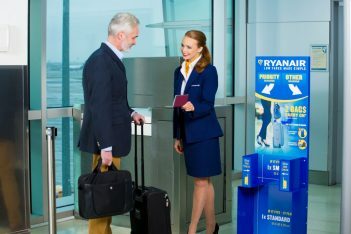 Irish low-cost carrier Ryanair has announced that as of November 1 passengers will no longer be allowed to take a 10kg piece of hand luggage into the cabin on flights for free. Until now, passengers were allowed once piece of 10kg hand luggage and a smaller bag for free. Passengers who wish to bring a suitcase of up to 10kg into the cabin, as of November 1, can either pay between 6-8 euros (priority boarding) to put it in the overhead locker above them, or can pay between 8-10 euros to check it in. The change comes after Ryanair’s previous cabin bag policy launched in January this year. Previously, all non-priority customers could bring 1 (small) carry-on bag and 1 bigger (wheelie) bag free of charge. The bigger bag was tagged at the gate and put in the hold (for free). However, Ryanair said that that policy led to the tagging of up to 120 free gate bags which caused delays to 25min turnarounds. According to the airline, the new policy will speed up the boarding and cut flight delays. The airline said that 60 percent of its customers will be unaffected by the changes. “We expect that the other 40 percent will either choose to buy Priority Boarding or a 10kg check bag or will choose to travel with only one (free) small bag as 30 percent already do so today,” Ryanair’s Kenny Jacobs said in an announcement. The new policy will go live at boarding gates on/after 1 November 2018 and for all bookings made on/after 1 September 2018. The airline said that it does not expect to make extra revenue from the new cabin bag policy. 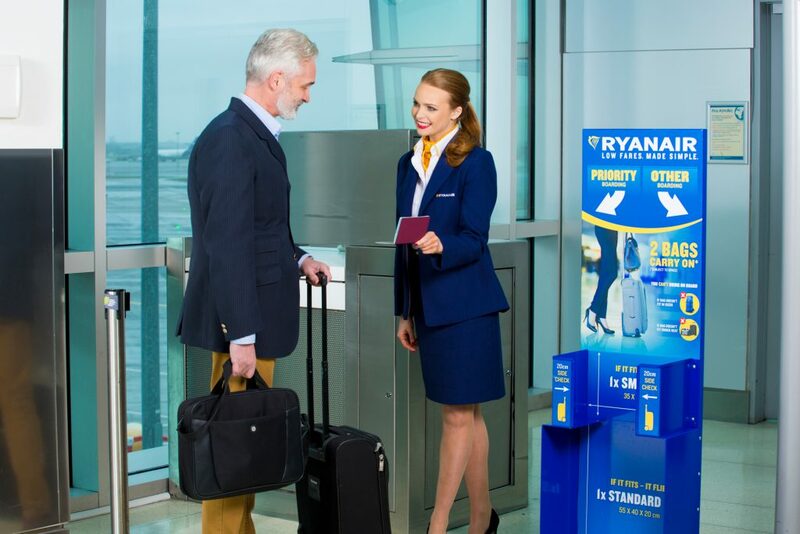 “We expect more customers to switch from the current €/£25 checked bags to this cheaper €/£8 checked bags… More non-priority guests will choose to travel with 1 free (small) carry-on bag,” Ryanair said in the announcement.